I’ve kept the article for a time when I had the free time to explore Nan’s approach. So, here’s my first attempt. I turned the rubber stamp upside down and placed a block of clay on top of the stamp and rolled a brayer over the block to make an impression. When carving away the polymer, it’s important to make shallow slices to reveal the patterns from the stamp. Two types of impressions can be made revealing different results. 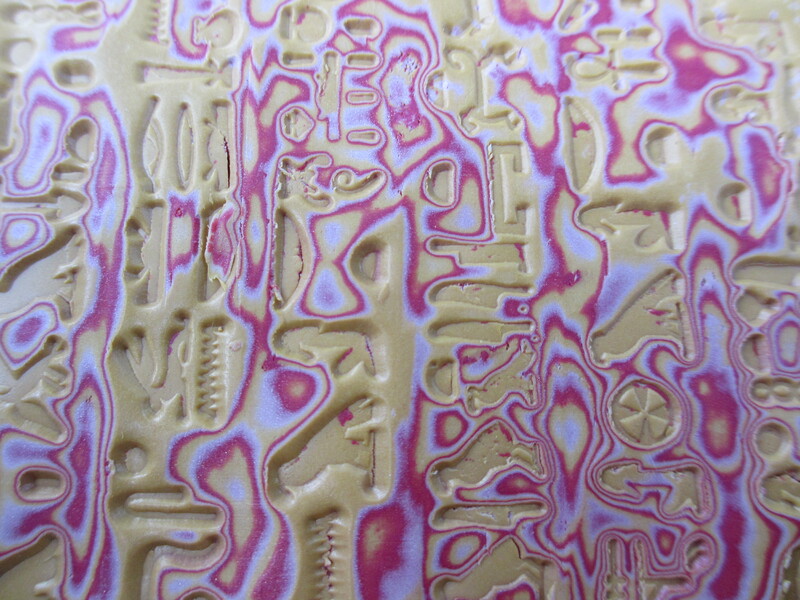 The typical rubber stamp has a raised pattern that will create valleys in the clay when pressed into it. The negative image of the stamp has valleys which produces a raised image. 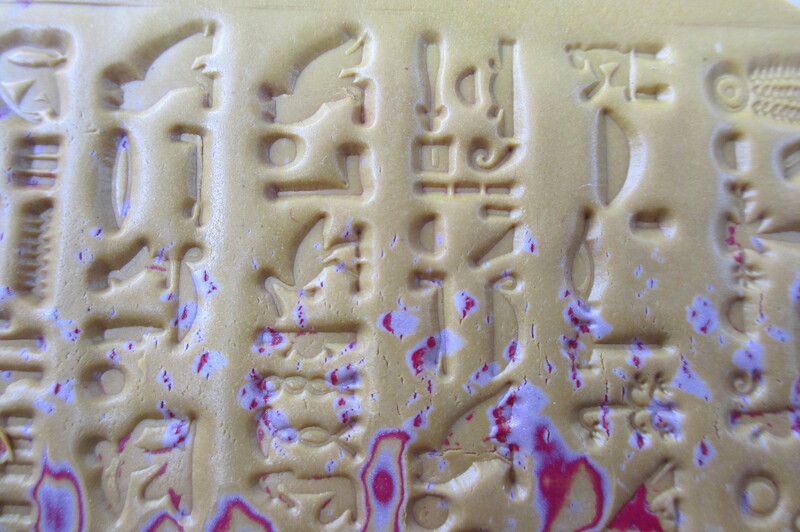 In order to make your own negative image, press the rubber stamp in conditioned scrap clay and cure it. 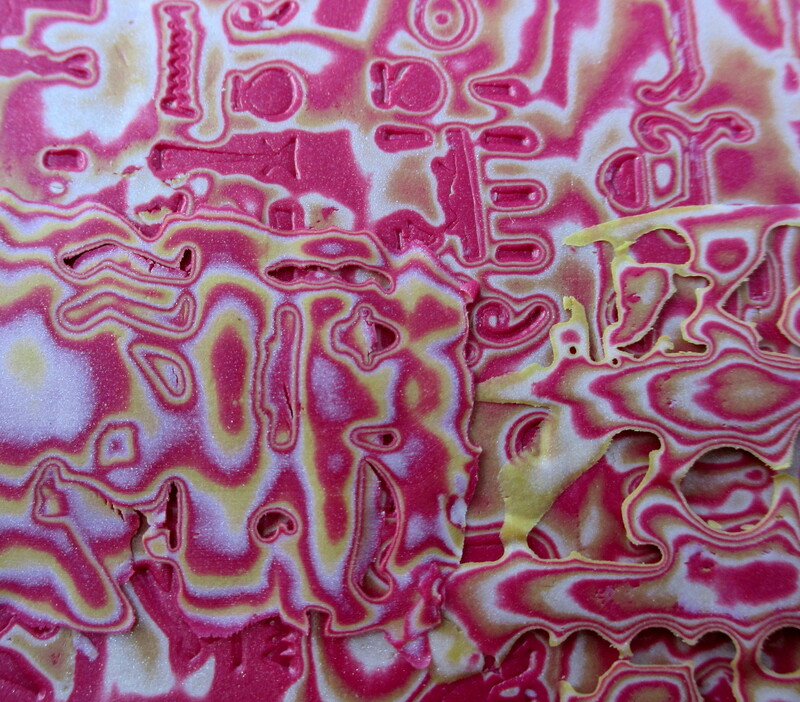 Make your negative image plate from one of the strongest polymer clay, e.g. Fimo or Premo. I found the characters on the rubber stamp did not translate as well as I had hoped. Though instead of actual characters, a wood grain pattern emerged. By embellishing the surface with additional elements, a sculptural quality to the piece emerged.